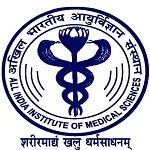 All India Institute of Medical Sciences, New Delhi conducts the AIIMS PG entrance exam for admission to postgraduate medical courses like MD/MS/MDS/DM/M.Ch. Students on the basis of this entrance exam can get admission in the affiliated colleges of AIIMS. It is a national level entrance exam. AIIMS conducts this examination twice in a year. First time, it will be conducted in January session and the second time in July session. In this article, we have mentioned the AIIMS PG 2018 exam dates, application form, eligibility criteria, exam pattern, syllabus, etc. The application form can be submitted through online mode. First of all, students have to register themselves for the online registration. Fill the application form before the due date. Students can select the city of examination of their choice. Fill the all details carefully. No correction will be permitted in application form once the form is submitted. Application fee for UR/OBC students is Rs. 1000/-. For SC/ST students, the application fee is Rs. 800/-. Nationality: A student must belong to the Indian national. Qualifying Exam: Students must hold the Degree in MBBS for MD/MS and BDS Degree for MDS recognized by the Medical Council of India/Dental Council of India. Minimum Marks: The minimum marks in the qualifying exam should be 50% for SC/ST students and 55% aggregate marks for General candidates. Student must complete the 12 months of compulsory rotatory internship training on or before 31st January 2018. If student will apply for July session, then their training must be completed on or before 30th July 2018. Mode of Exam: The exam will be conducted in online mode (CBT). Number of Questions: For MD/MS, total 200 questions will be asked. For MDS, total 90 questions will be asked. Duration of the Exam: For MD/MS, the exam duration will be 180 minutes and for MDS, exam will be of 90 minutes. Negative Marking: -1/3 marks will be deducted for the each wrong answer. The AIIMS PG 2018 Admit card will be downloaded from the website. Students can avail the admit card for January session from last week of October 2017 and for July session, the admit card will be available in the last week of April 2018. Admit card will contain all important instructions regarding the exam. The final result of the AIIMS PG 2018 will be available on the website. The AIIMS PG 2018 Result for January session will be published on 18th November 2017. For July session, it will be announced in the second week of May 2018. The notification regarding result will not be intimated on the telephone or by post to any student. On the day of counselling, candidates have to bring one photo copy of their registration slip along with other original documents. The admission will be completely based on the entrance examination. The counselling will be conducted in three rounds. First counselling will be held on 7th December 2017. The third round of counselling will be held as open counselling for filling the vacant seats. If you have any query about AIIMS PG 2018, you can leave your comment in the comment box.